KIIT University MBBS and BDS Admission will be based on the NEET scores as per the order of the Supreme Court of India. The MBBS program is being offered by Kalinga Institute of Medical Sciences, and the BDS program is being offered by Kalinga Institute of Dental Sciences. Both are constituent Institute of KIIT University located at Bhubaneswar. KIIT University B.Sc Nursing Program is based on the Entrance exam that is organised by Kalinga Institute of Industrial Technology. This page provides the complete information about the KIIT University MBBS and BDS Admission. Latest Update: The KIITEE MBBS/BDS Reporting Schedule for 2017 admission is released and available on this page below. Scroll the page to view the schedule. The Kalinga Institute of Medical Sciences (KIMS) and Kalinga Institute of Dental Science (KIDS), KIIT University, Bhubaneswar has released the reporting schedule at the given venue given on this page. Since KIIT is a Deemed University, therefore, MBBS/BDS Admissions 2017-18 will be done on the basis of Common counselling conducted by DGHS. Get details on NEET Counselling 2017 for Deemed Universities 15% AIQ Here. The candidates need to upload the details of NEET exam in the online Application Form. This page gives information about MBBS, BDS, B.Sc. 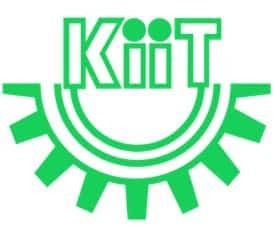 Nursing admission in KIIT University for the academic session 2017-18. MBBS, BDS and B.Sc. Nursing Program at KIIT University is offered by Kalinga Institute of Medical Sciences at Undergraduate level. B.Sc nursing Classes for session 2017 will begin from October 2017. Academic Qualifications: Candidates should have passed Class 12 with Physics, Chemistry, Biology & English. Age Criteria: Lower age should be 17 years as on 31 December 2017. As per the notification of UGC, the NEET score is mandatory for admission to MBBS/BDS course in any government and private medical colleges in India. Therefore, to apply for the admission into KIIT University MBBS/BDS course, the candidates need to submit their NEET score. The candidates need to submit the application form online only after entering all the above details and uploading the documents. The candidates need to submit and hard copy of the application form to the concerned Authority. For the year 2017, candidates are not required to pay any application fees/ registration fees for admission to any course in KIIT University. Candidates also have to pay the amount of Rs. 75,000 for Registration, Academic Kit, Laptop & Blazer. KIIT MBBS and BDS Admission to the constituent colleges of Kalinga University will be based on NEET scores. The candidates need to upload their NEET scores and the qualified candidates will be called for Counselling Procedure. KIIT MBBS & BDS Counselling process will start from the last week of August 2017. Qualified Candidates can fill, lock and select the preferences by following the link below which will open to the counselling page. Applicants have to give their Application number and date of birth to enter the counselling process. KIITEE 2017 Results for B.Sc Nursing will be declared in the 2nd week of May 2017. A cut-off qualifying mark will be fixed by the University, at the time of declaration of Entrance Result. The result will be published on Net. The candidates can see their result by giving their Application number. The candidates can see their result by giving their application number. Rank Card indicating the Rank in Entrance Examination shall be sent to the qualified candidates and they can also download the same from the official website. Each question will be followed by four answers of which only one is correct / most appropriate. The admission of the candidates to MBBS /BDS course in any government and private medical colleges in India will be done on the basis of NEET scores. The candidates need to follow the link below to get the complete details about NEET exam such as the number of questions, type of question, negative marking, etc.